Ah, the power of attorney. This is an important element for estate planning. It’s also one of the most confusing elements for many. This is because of the different types – there exists the health care power of attorney, the durable power of attorney, financial power of attorney and lest we forget – the springing power of attorney. But don’t let that overwhelm you. Once you understand the differences, you can better determine which one – or more than one – best suits your needs. In this article, we explore a few of the more common powers of attorney. 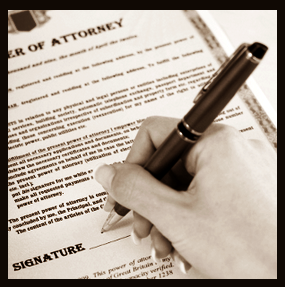 A power of attorney, by nature, is versatile. You have many options, including limiting the powers that come with them. But they’re important in that they should be kept current. In one of the more shocking celebrity deaths, we saw the repercussions of a power of attorney that was not current. Robin Williams went to great lengths to protect his loved ones. He not only wanted to see to their futures, but he also wanted to help ensure their privacy after his death. The only problem is that he did not update his power of attorney and as a result, one of those he chose as an agent had predeceased him, which has led to some problems for his estate. It’s important to review your estate plan to ensure these dynamics are caught in time. When you work with a qualified estate planning attorney, you have the benefit of his guidance. He can not only help you maneuver the legalities, but he will also catch the smallest details that could compromise the strength of your overall estate plan. A financial power of attorney is a legal document that allows someone to make financial decisions for you if you’re unable to do so. You can allow for a very limited power of attorney or you may choose a more liberal formula by allowing someone to handle all of your financial affairs. You can give a person you trust as much authority over your finances. This might include depositing checks, paying bills, overseeing retirement accounts and even meeting payroll if you’re a business owner. It’s a big responsibility, so choose wisely. Obviously, your agent should have no shortage of common sense and a healthy dose of financial sense. A medical power of attorney allows you to outline your health care wishes if you are unable to do so due to injury or illness. These are sometimes referred to as a durable health care power of attorney. You name someone to make those medical decisions on your behalf. This person is one who becomes your voice with the doctors and other healthcare professionals. While he is required by law to make decisions based on your wishes, it’s important to you let this person know what those wishes might be. A living will is often used in conjunction with this legal document so that your agent has something to work from. While it can be controversial, some powers of attorney can “spring”. It simply means the moment you become disabled for any reason, it “springs” or goes into effect. There are those who say a springing power of attorney gives too much immediate power to someone, but the truth is, that argument could be made for any power of attorney. On the other hand, the argument could be made that emergencies are always unexpected and there could be time lost trying to put the power of attorney into effect if it’s not springing. Bottom line? Your estate planning attorney is the best first call you can make. He can help guide you so that you’re making the best decisions for your situation. To learn more, contact our offices today.